Original and revised configuration of 5M Mars soil return spacecraft. Russian Mars lander. Cancelled 1978. The 5M was a second attempt by the Lavochkin bureau to design and fly a Soviet Martian soil return mission. Design and development was undertaken from 1974 to 1978. Status: Cancelled 1978. Gross mass: 9,135 kg (20,139 lb). Height: 3.80 m (12.40 ft). Diameter: 4.00 m (13.10 ft). Span: 11.00 m (36.00 ft). The final version would have required two Proton launches to assemble the spacecraft's booster stages in low earth orbit. They would then boost the 5M spacecraft to Mars, where it would land, scoop up some Martian soil, and boost an 8.7 kg return capsule on a return journey to earth. It was cancelled when political forces shifted and the project was seen as too complex to succeed. The 4M was a version of the 5M that would be flown to Mars on the launch window before the soil retrieval attempt. Instead of the return craft, it would land a modified version of the Lunokhod rover on the Martian surface. This would allow systems to be checked and achieve a scientific and propaganda first without taking the risk of the complex all-up spacecraft succeeding. In 1974 the N1 booster program was cancelled and Mishin's failed TsKBM design bureau was reorganized into Glushko's new NPO Energia. 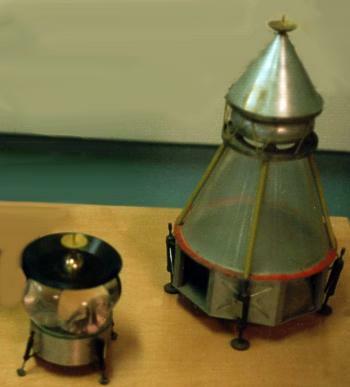 Unlike the Mishin group, the Lavochkin team had a string of successful lunar and interplanetary probe missions. Afanasyev directed that they continue work on a Mars soil return mission to leapfrog the Americans. Mars 5NM Russian Mars lander. Cancelled 1974. The 5NM was the first attempt by the Lavochkin bureau to design and fly a Soviet Martian soil return mission. Design and development was undertaken from 1970 to 1974. Family: Mars lander. Country: Russia. Launch Vehicles: Mars tactical rocket, Proton, Proton-K. Agency: Lavochkin bureau. Bibliography: 589, 6680. Possible alternate configurations of 5M soil return spacecraft at TsNIIMASH.